BHC is one of the UK’s leading Structural Steel Fabrication and Construction companies supplying and erecting steel nationwide. 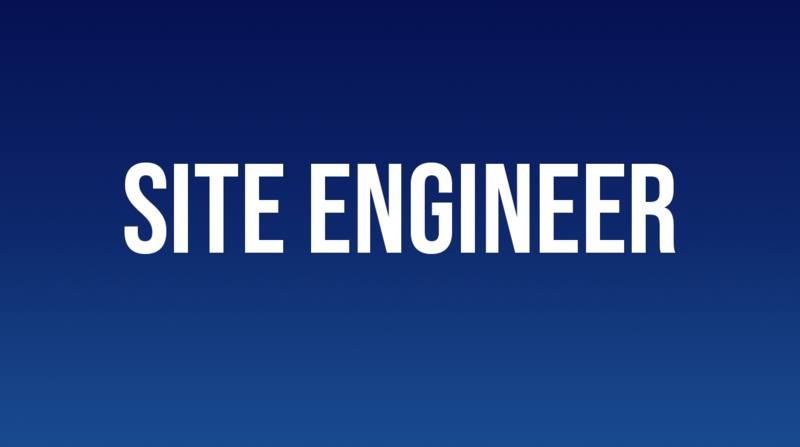 Due to expansion we currently have a vacancy for a Site Engineer. The Site Engineer is responsible for ensuring the successful handover of all structural steelwork. This includes ensuring the plumb, line and level of the steelwork complies with the contracted tolerance and issuing of the handover certificate. The Site Engineer will also be involved with some of the Turn Key projects which BHC undertake, this will include the Engineer starting with a green field site and working with all trades on site to the stage of handover to the client. The Site Engineer will be responsible for all works during this time, delivering as built drawings for all of their setting out during this time. Work on their own and through their own work load. The Engineer must be competent in the use of Total Stations for both surveying and setting out. In particular, experience with Leica robotic total station is advantageous. The successful candidate will be able to take survey data and complete as built surveys in CAD. Plumbing of steel by tightening bolts. Moving steel into position using heavy hammer and wedges. The Engineer must be conscientious, hardworking and driven. Site Engineers at BHC are responsible for several jobs at any given time are are expected to be able to travel between them, therefore a driving licence is essential. In addition to this you will also require a current CSCS card. Please note that depending on the locations of projects working away from home may be required. Experience in the use of total stations for setting out and surveying is essential although not necessarily with a Leica Robotic Instrument. An Engineer with a sound fundamental understanding of setting out and surveying will quickly be able to adapt to using any instrument. A basic knowledge of CAD will also be useful. Applications can be submitted using the BHC Job Enquiry Form located at the bottom of the Recruitment Page.